Note: All winners will be determined and paid by @earthnation and @steembasicincome validation teams. So make your answers good! The grand prize for best overall answer wins an instant $10 upvote of their answer. Others Prizes Too - Everyone's A Winner! A: Pick a category above and make a post explaining why it is the most important problem to you. 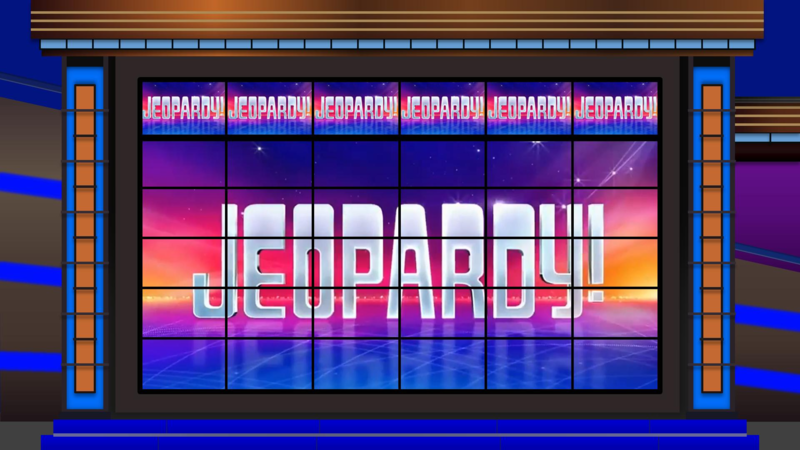 D: You must title your post: "My Anwer To NewbieGames Jeopardy - Where Every Valid Answer Is A Winner"
Note: all conditions above must be met, so please read carefully! Everyone gets a free entry by doing the above, but you can get more bonus entries with the same rules applied from above. Earth Nation is a Planetary Alliance of cooperative businesses and humanitarian organizations creating decentralized/ethical alternatives to every product and service. Steem Basic Income is a social experiment to provide every Steemian with Basic Income - help us change the world. The winners will be announced and Upvotes will be distributed tomorrow morning. First Place Award goes to @ecoinstant for https://steemit.com/earthnation/@ecoinstant/my-anwer-to-newbiegames-jeopardy-where-every-valid-answer-is-a-winner. @ecoinstant. Were not able to give you the full 10$ upvote on that post(because its too close to the closing date to use upvote bots). 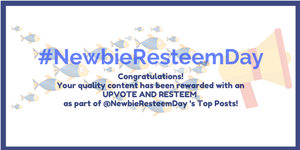 We will upvote your contest award to about $5. And another post to about $5. Please tell us which post to upvote! Second Place Award Goes to @Lilastar for https://steemit.com/earthnation/@lilastar/my-anwer-to-newbiegames-jeopardy-where-every-valid-answer-is-a-winner. Third Place Award goes to @haisa for https://steemit.com/earthnation/@haisa/my-anwer-to-newbiegames-jeopardy-where-every-valid-answer-is-a-winner. Upvotes have been distributed. Thank you all so much for playing! We'll be hosting another contest on the best solutions in a week! What an amazing contest! Great job guys! I found it to be very hard to stay under the allotted word frame being it such an emotional topic. Thanks for the opportunity guys! All bonus activities are done as well! Here's my answer. Thanks for holding this contest, great topic choice! The worlds problem of the pollution and loss of life in our oceans is staggering! And, i like how you linked the solving of the issues at hand. My answer is similar in that way! It's been good to read your post! I wish you lots of success! Great Entry For This Contest! Very On Subject And Is Very Helpful! I made it a text-only article. I have done all steps for the 3 bonus entries too. I did not do the curation one but every other one are done. Just how sad knowing that there are still so many homeless now. The government must take action for that problem. Government does, by making homes for them. But the corrupt people takes some part of it. Some homeless uses this as advantage, they either rent out or sell it & goes back to homeless stage. A lot of factors plus the rising population, where is the space left to make more houses. Still I do wish that everyone gets a home, food when hungry & clothes to wear. What a great idea for a contest; intellectual and purposeful. I wanted to thank @earthnation and @steembasicincome for partnering with us and putting on such a good one! This post was supported by the @earthnation Steemit Guild Community. It means you can win on all 5 of them... and will get a participation prize on all of them too!!! Sorry to hear the problems you guys face in Africa. I will hope and pray that the basic necessities such as food, water & a shed will be available for everyone, not just in Africa but the whole world. Because as being humans, if we can't get that much also then it's really very sad. God bless everyone and bring a smile to everyone's face. YES! This is the bees knees. TY team of co-inspirators! Next level Steemit co-creation inspiring solutionary genius and innovations. This is what we're here to fun'd! with our EarthCycle token. Love the contest, brilliant idea glad to see all of these great people getting together putting this on! What's the deadline for this contest? Quick question guys, you say the answer has to be between 50-300 words. If I go over that in the post, but some of those words are explaining this contest and directing people towards it, is that okay, or should I do that in the comments below my posts? Just be clear where you answer starts and ends. If you want to add directions or promotion about the game below (or above) your answer then its good! So just count the words in your "answer" section! Also, followed @steembasicincome and @newbieresteemday and Re-Steemed! "The problem has nothing to do with lack of resources , but everything to do with the lack of will." I like the new tag you are doing I just wanted to ask about my page and if the content on that is along the same lines, I think it is I just wanted to be sure. It's basically solve a brain teaser and win a tiny amount of STEEM. My first time. I understood i dident have to solve the problem. Only telling why it is so important for me. Right? I am coming by to link drop my entry for judgement! Thanks to @earthnation and @steembasicincome for this great idea for a game! Building up my response ! Be back soon! This is really great stuff. First off, i've always loved essays such as this, that add value to the world in general and i think the steemit platform is a good place to promote solutions to world problems. I love the concept of making this a contest, this will enable us get really good and promotable answers and I really look forward to more of this on a larger scale. My hat's off to @earthnation, @newbiegames @steembasicincome and everyone else behind this! Here is my Jeopardy Entry! I decided to write about why solving world hunger is the most important challenge we face.